Many people are unaware of the effects that the Fukushima disaster has had on our sea life after leaking radioactive materials into the Pacific Ocean for over two years. This is mainly because the FDA has not treated the issue with as much attention as it requires or deserves, and has often lied or concealed the amount of damage this nuclear accident has caused. Even worse, the FDA has yet to do sufficient testing on fish and other sea life to be able to properly evaluate the impact, though it is pretty clear how much the world has been effected by Fukushima. Considering the evident presence of radiation in our milk, crops, and ground water, it’s safe to assume that the impact on sea life is more devastating than what the FDA has illustrated. Though the government organization does claim that they have tested fish and shellfish on the west coast of the United States, the tests performed were not nearly as extensive as they should have been. Many of the tests initiated by the FDA were performed on non-migratory bottom dwelling fish that would take years to ingest high levels of radiation. However, when an independent test was performed on 15 blue fin tuna caught off the coast of San Diego, these fish were found to be ten times more radioactive than before the Fukushima incident. 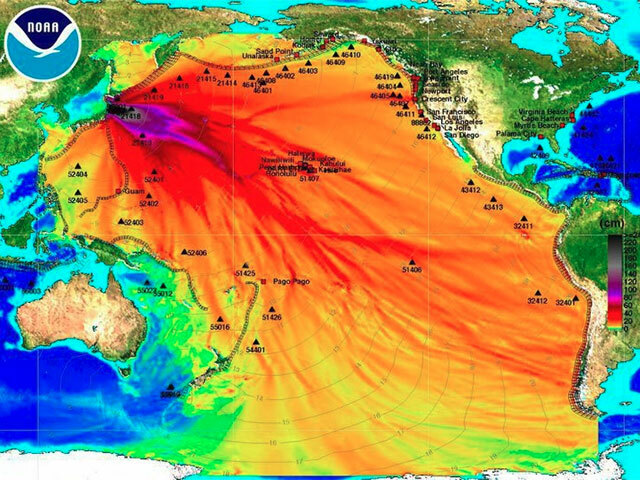 Even worse, an analysis of the current patterns of the Pacific Ocean has shown an increased amount of radiation migrating toward the west coast of the United States. This causes alarm for not only migrating fish, but soon all sea life found in the Pacific Ocean. Further, it can only be assumed that these high levels of radiation will also have a substantial impact on the contamination of drinking water and land-based foods in the years to come. With this in mind, one must wonder why the FDA has decided to raise its accepted amount of radiation to almost twelve times what the Japanese government considers safe. This information is important to anyone thinking about buying a fucoidan supplement. It is because a significant amount of the seaweed used in fucoidan extracts is gathered from Japan’s shoreline. While Japan’s shoreline is very large, still it makes sense that the waters surrounding Japan could be more contaminated than other sources of fucoidan. Some reviews have stated that the amount of radioactive waste that has been found in the Gulf of Mexico is minimal, however, it is still likely that any toxicity present in Gulf of Mexico could have an effect on harvested items like seafood and fucoidan extracts. Considering the likelihood that fucoidan sources in the Pacific Ocean are contaminated, it is best to look for one that is harvested from the waters of the Atlantic Ocean. Because of the conflicting currents in the oceans, these waters have remained free from contamination caused by the Fukushima disaster and are the best source of fucoidan. Look for a fucoidan supplement that will openly tell its customers where the fucoidan is harvested from, and be sure to avoid any fucoidan from Japanese waters.